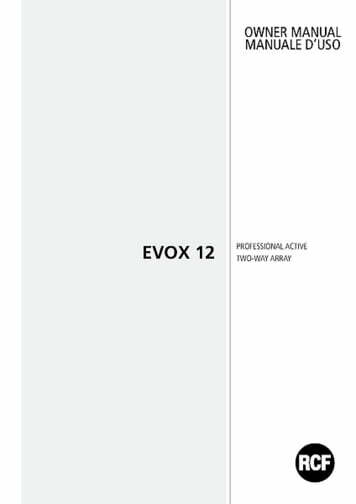 Have 2 Evox 12 systems in use. After the first 2 gigs I am thrilled. 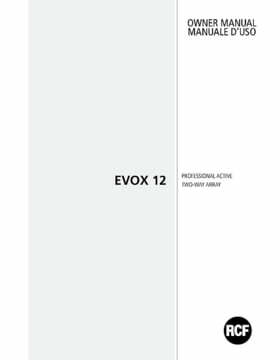 The bass delivers a lot of pressure, you sometimes have to take something back on the EQ, the heights are clear, but it does not sound too exaggerated. All in all a round sound for me with a lot of depth. Very good is the voice transmission which is still very clear and clear even in 20 meters distance. The ability to specify different DSP settings would be great ... unfortunately only one switch to specify flat or boost sound. Therefore with the features "only" 4 stars. And relief for the back, this set is anyway with the transport wheels and trolley handle in the baseboards and the low weight of the columns. Finally, a compliment to the friends of Thomann for the good advice .. Thanks !!!! ID: 372345 © 1996–2019 Thomann GmbH Thomann loves you, because you rock!